Amy Borneke has lived in Waseca her entire life. 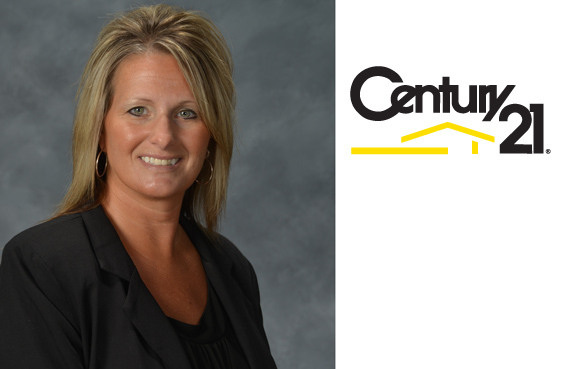 At 41, in August 2013, she earned her real estate license and began with Century 21 First Choice. For new and old readers alike, this special 20-year edition is our unique way of retelling the established story of where we have been and what we have done. But really it’s more about you. 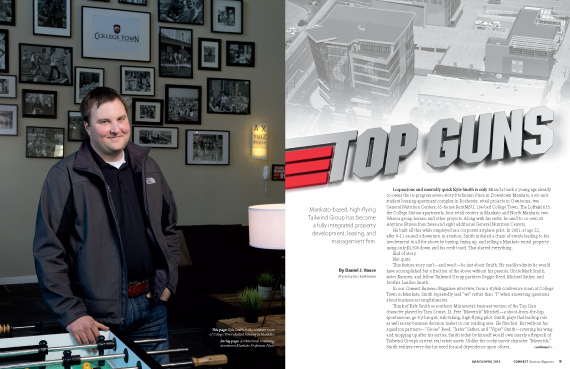 Southern Minnesota has hundreds of incredible people that have grown businesses here and our 20-year mission has been to shine a spotlight on some of them. 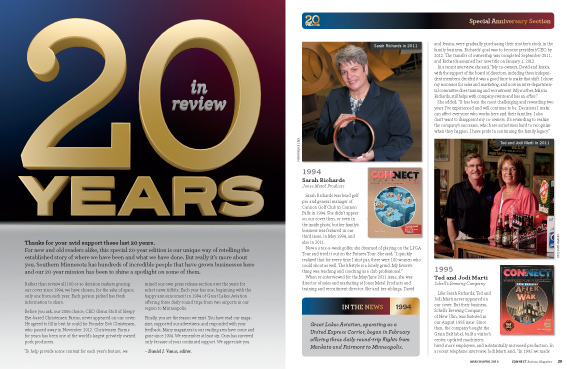 This issue marks our 20th anniversary profiling southern Minnesota’s most interesting business decision makers. What a perfect opportunity to give a shout-out to Enventis and Manpower, businesses that have advertised (pgs. 3 and 51, respectively) with us every issue since March 1994. 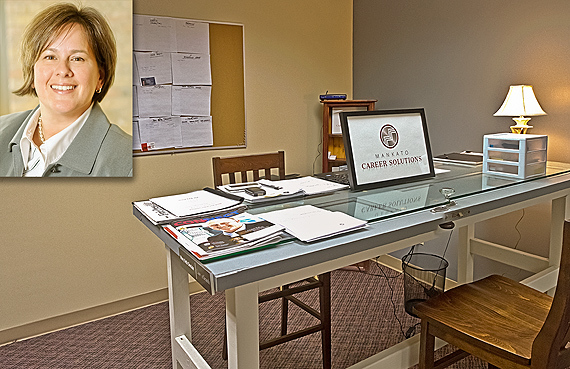 In November 2013, 44-year-old Mary Beth Sinclair began Mankato Career Solutions at 515 North Riverfront Drive. 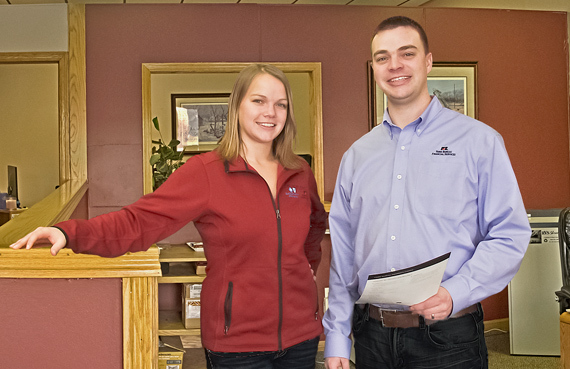 Sister and brother team Randi and Mike Wise, ages 26 and 33, respectively, became Farm Bureau Financial Services agents at 135 Main Street West in October 2013.